A company’s credit management is one of the essential elements of a successful commercial activity. It is therefore crucial for creditors to obtain the right advice at the right time in order to protect debts due to them. The number of court cases dealing with debt collection has diminished drastically over the years as the use of judicial letters proved to be incredibly useful in the saving of both time and money. In fact, when the debt is decisive and clear, the creditor may make claims for amounts not exceeding €23,300 as per Article 166A of the Code of Organisation and Civil Procedure. Otherwise, Article 253 allows judicial letters to be filed for unlimited outstanding debts. Court cases before the Superior Courts may be instituted where the amounts due vary and are not liquidated. At Mifsud & Mifsud Advocates we have the necessary expertise to assist companies with their individual needs in relation to debt collection. The firm can assist from pre-litigation stage up to the execution of a judgment. Moreover, the firm is affiliated to a number of international debt collection companies through which it can assist local companies in chasing debts on an international level. Malcolm qualified as a lawyer in 1995 and was engaged as an associate in one of Malta’s largest law firms. He branched out on his own in 1998 and participated in partnerships that developed into to Mifsud & Mifsud Advocates, which he co-founded with his brother Cedric in 2007. 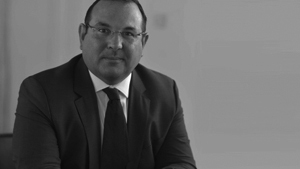 Malcolm has a vast experience in Civil and Commercial litigation and as a result has advised on a large range of legal issues to individuals, corporate structures and public institutions, whether in Malta or abroad. Gianluca graduated as an advocate in 2014 and was warranted to practice law in 2015. He joined Mifsud & Mifsud Advocates as an associate in 2015 after three years of training within the firm. 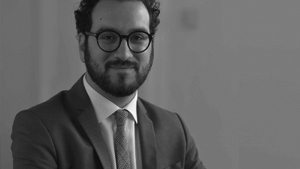 Apart from litigation and provision of legal advice, Gianluca is primarily tasked with handling immigration work, vetting of contracts and the carrying out of prosecution services at Local Tribunals.